After crashing out of the prestigious European Champions League at the hands of Real Madrid, Manchester United is facing another strenuous test today in the FA Cup against Chelsea. Chicarito scored the first goal for United. Yes!! To make matter more interesting, Chelsea defender David Luis was quoted as saying "we would rub salt to United's wound", referring to United's exit of the European League. Hernandez header went past both Cech and Cahill, brilliant work by the Mexican forward. Second goal was a Rooney free kick and Luis himself failed to deal with the pace of the ball. Rooney's free kick went straight into the back of the net. Goals from Hazard and Ramires put Chelsea level. It is all square at Old Trafford. There will be playoff at Stamford Bridge to determine who go into the final. 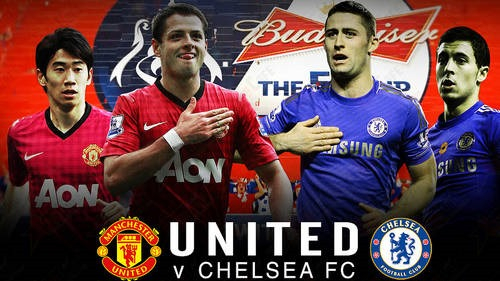 Winners of the United/Chelsea tie will face Manchester City in the semi-final.